By considering both cooperative and competitive dynamics in the formation of inter-firm relationships, we introduce the concept of infiltrating alliance, which is defined as a focal firm’s alliance with its rival’s partner, and examine stock market response to such alliances. Data from the US software industry show that a firm’s infiltrating alliances are associated with higher stock market returns than non-infiltrating alliances. Moreover, infiltrating alliances are associated with higher stock market returns particularly when a focal firm forms alliances with a rival’s highly dependent partners. The findings in this paper contribute to the literature on both strategic alliance and competitive dynamics, and advance our understanding of the performance outcome of the relational dynamics among the focal firm, the focal firm’s rival, and the rival’s partner. 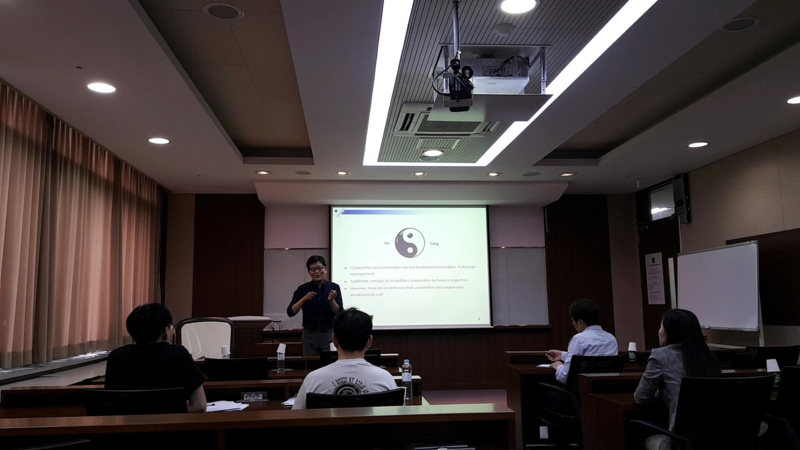 [Research Seminar 2018.05.21]Online Gaming an..